There will be a morning workshop for parents on ADHD running in the school on this Friday, January 25th, from 10am-11:30 in the School Library with tea/coffee available. 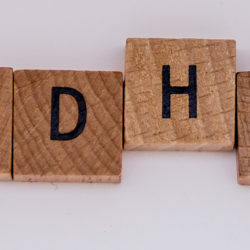 What is ADHD and what it is not ADHD in Ireland. ADHD and co- existing conditions. Strategies for managing ADHD at home. 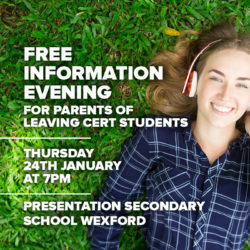 If you are interested in attending please let Teresa Bradshaw know in the next few days before Friday by email- tbradshaw@preswex.ie or contact the General Office on 053 9124133 and leave your name for T Bradshaw.